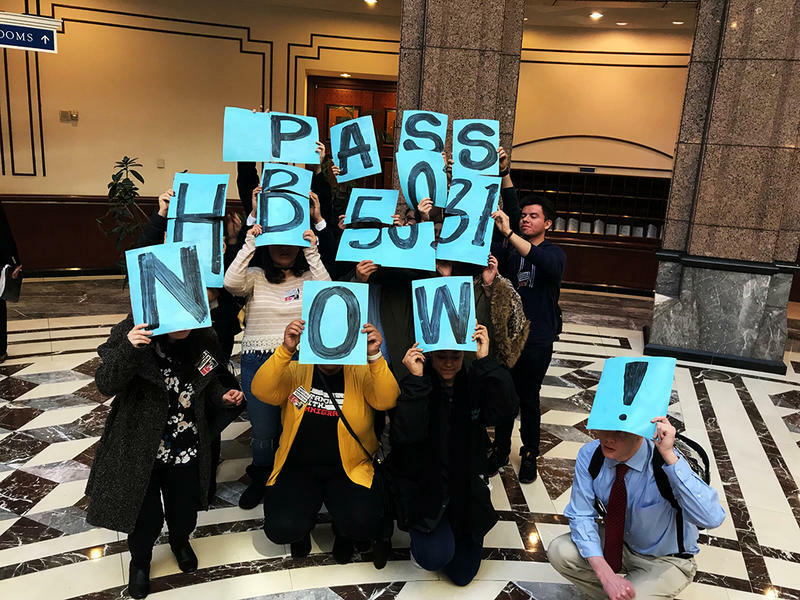 Students gather in legislative office building with letters that form "PASS HB 5031 NOW!" 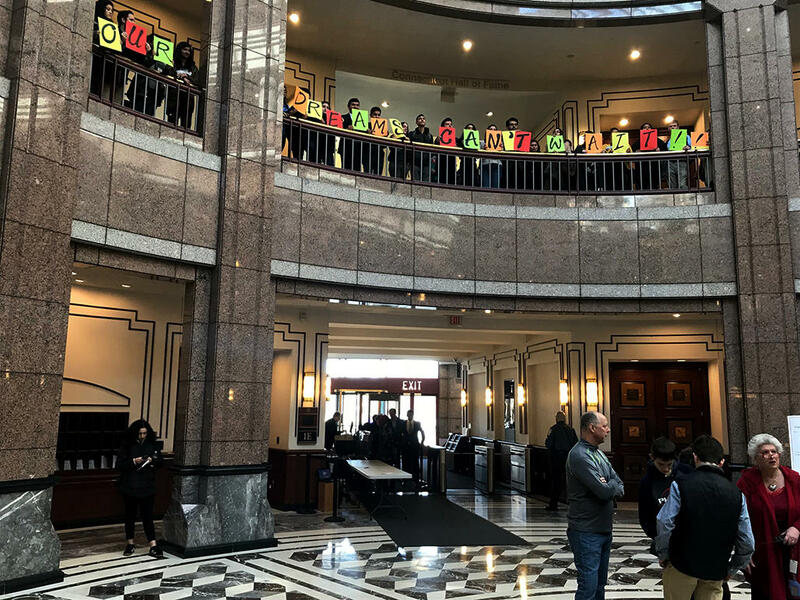 Undocumented students held a day of action Thursday at the state Capitol to get support for a bill that would equalize institutional student aid. For the fourth straight year, a bill aimed at changing aid inequality has made it out of the Higher Education Committee. With only two ‘no votes’ the measure now goes to the full legislature. That’s where it’s failed three years in a row. Gabriela Valdiglesias, 18, goes to Manchester Community College. She came with her family from Peru to Connecticut after she was born. She said she and her three siblings are currently enrolled in college —with no financial aid. “My father, every year, has to pay more than $50,000 out-of-pocket, along with other bills of necessity,” Valdiglesias said. "OUR DREAMS CAN'T WAIT!!" was another phrase spelled out by representatives of CT Students 4 A Dream Thursday during their day of action in Hartford. The group of undocumented students presented 250 letters of support for the bill to an aide for Speaker of the House Joe Aresimowicz. Bortolleto is not sure if it will go to the house next for a vote. She said it’s possible a separate bill may be created in the Senate. 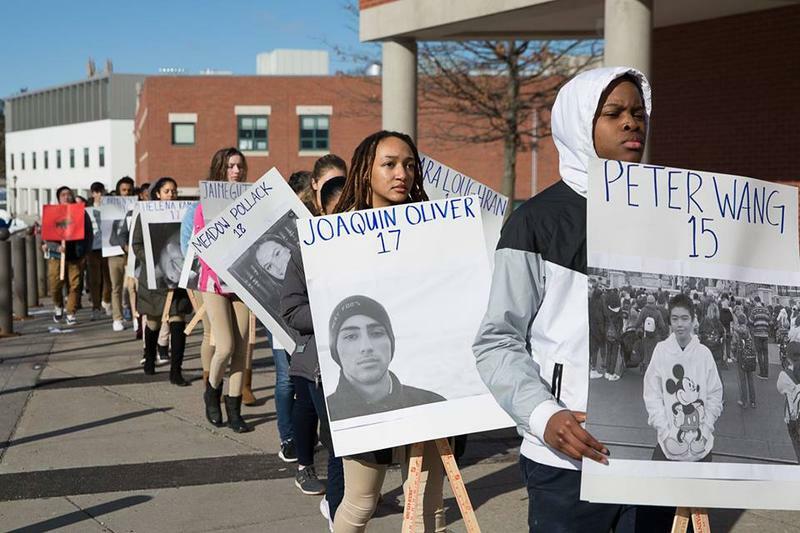 School students around Connecticut joined a national school walkout in protest against gun violence Wednesday. But the way the event was handled by school administration varied widely from district to district.